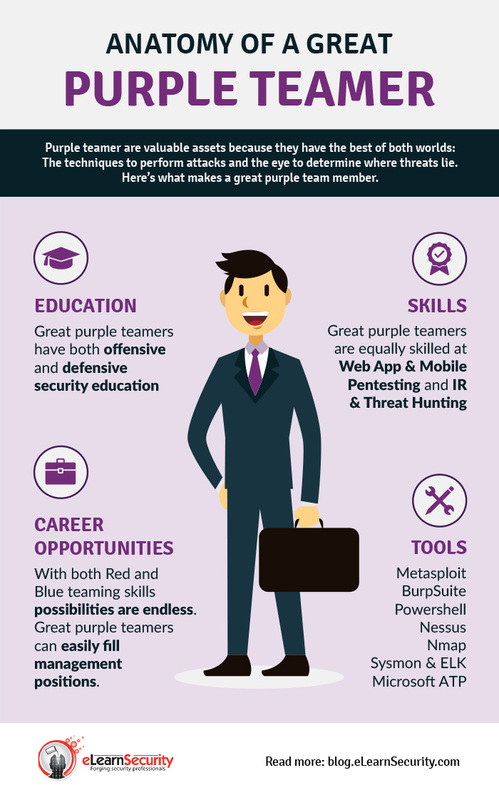 The Purple Team Member training path is the most advanced and hands-on training path on purple teaming in the market. This training path is oriented towards IT security professionals who want to possess both cutting-edge offensive and defensive skills. The path starts by teaching you the most up-to-date penetration testing methodology and attacking techniques so that you acquire a basic understanding of how attackers operate. Then, you will dive into the world of advanced penetration testing and red teaming. Armed with this knowledge, in addition to knowing how to create your own custom attack vectors and how to evade modern defenses, you will be able to deeply understand and simulate how advanced adversaries perform their operations. The Purple Team Member path ends by providing you with threat hunting and threat intelligence skills. In this final stage, you will combine what you learned in the previous stages with cutting-edge intrusion detection techniques, to proactively hunt down adversaries in your network.